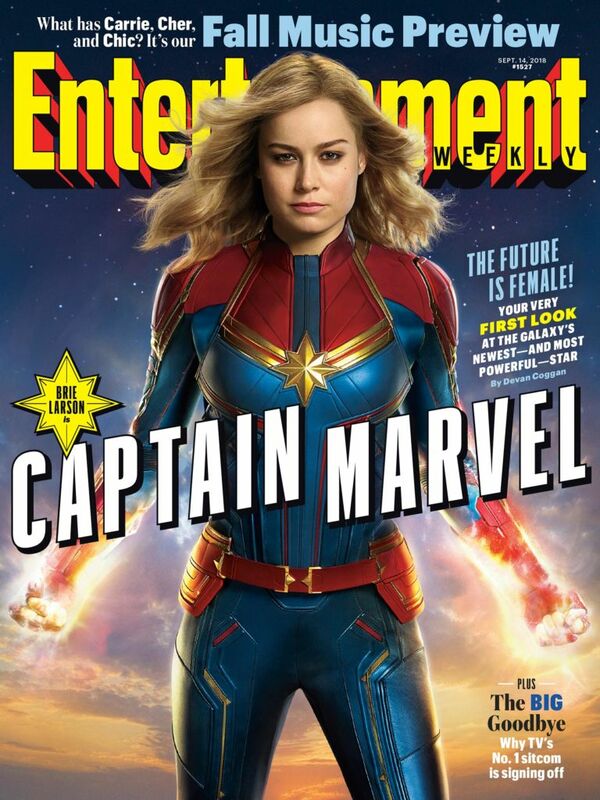 Thanks to Entertainment Weekly, we finally have our first official look at Brie Larson as Carol Danvers/Captain Marvel in the next installment of Marvel’s Cinematic Universe. Taking place in the 1990s, the upcoming film will show the early days and Kree-related origins of Captain Marvel, before she makes her appearance alongside The Avengers in Marvel’s follow-up to Infinity War. Coming along for the ride will be Samuel L. Jackson as a young, two-eyed Nick Fury, Lee Pace reprising his role as Ronan, Djimon Hounsou reprising his role as Korath last seen in Guardians of the Galaxy, Jude Law as Walter Lawson/Mar-Vell, Gemma Chan as Minn-Erva, and Clark Gregg returning as a young S.H.I.E.L.D. Agent Phil Coulson. 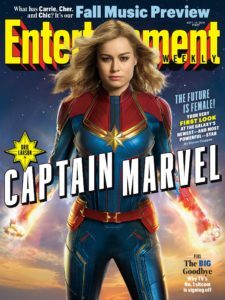 In addition to giving fans a first complete look at Brie Larson in costume, Entertainment Weekly has unveiled a slew of photos. The photos reveal our first look at the villainous alien race, The Skrulls, as well as younger versions of Nick Fury and Ronan the Accuser, and much more. Check them all out below and feel free to let us know what you think in the comments. Written and directed by Anna Boden and Ryan Fleck (Billions), Captain Marvel is set to release in theaters March 9th, 2019. SO MUCH PRETTY. Why is it still 6 months away?! And when do I get my first trailer? !